Check Out These Ridiculously Amazing Deals for Fully Furnished Rentals in Dallas! 2 Bedroom/2 Bathroom Condo centrally located to Uptown, Downtown, Medical Complexes, Oak Lawn, Baylor, SMU, the Art District, and many more. The building has a large community pool and patio and the unit features stainless steel appliances, new furnishings, and carpet. To view more information on this truly beautiful property or to reserve it today, click here. 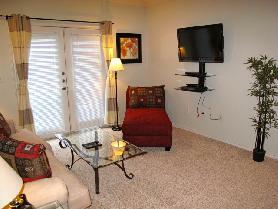 1 Bedroom/2 Bathroom Condo located just north of the city center and close to all medical complexes. This building features a 55′ pool, secured building and ground FOB access, community green space, and a huge roof top patio with a wet bar and grill and lots of seating. The unit is bright and airy with high ceilings and floor to ceiling windows with remote control shades. 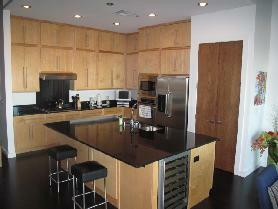 The kitchen has been remodeled with stainless steel appliances, beautiful cabinetry, and a built in wine cooler. The private balcony has a gas fireplace. To view more information or to reserve it now, click here. To contact us or to view all of our properties in Dallas, please visit us at Dallas.AvenueWest.com. ← Traveling to Colorado Springs for Business or Leisure? Look No Further for Accommodations.